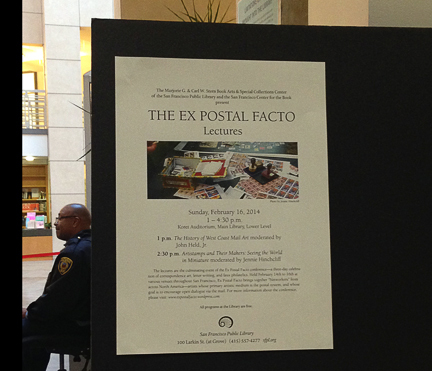 This entry was posted in ex postal facto, lectures/speakers and tagged anna banana, carl chew, ginny lloyd, harley, james cline, james felter, jennie hinchcliff, john held jr, leslie caldera, lowell darling, sf public library. Bookmark the permalink. ← interested in purchasing a “mail/art/book” catalog?